Well savvy readers another month in the books with our blog. Normally this means another monthly income report. This month is going to be a little different though, time to change it up a bit. We are going to niche down and focus on one stream of income our blogging business uses. This month we will be talking about sponsored posts. We had a solid month blogging in March making over $3,000. I just felt like the old income reports were getting stale and I was not really providing any value to you guys like I wanted. Please let me know in the comments if I am wrong about this. In all honestly, income reports are EVERYWHERE in the blogging world. They range from a few dollars to well over $100k in a single month. After talking with our good friend Pete from Do You Even Blog we agreed that unless you are making $10k+ per month no one is really going to care. Working from home and making money online is not as impressive as it once was. So this month I am going to focus on sponsored posts as they have been a great income generator for our blog. I am going to discuss how we land sponsored posts, how much to charge, the networks you can join, how to create your media kit, and how I got paid $1,250 for an hour of work last month. If you are interested in starting a blog and becoming a full-time blogger you should sign up for our FREE 7-day email blogging course below. Starting our blog completely changed my life and I am sure it can do the same for you. Put simply a sponsored post is when a blogger gets paid to promote a companies products or services. It’s actually one of my favorite ways to make money blogging. It’s quick, easy, and once you get your website started to gain a larger following you can get paid a good chunk of change. When doing a sponsored post you want to ALWAYS make sure the brand aligns with your current readership. There is a fine line between jumping on every opportunity and actually trying to help your readers. I will be the first to admit it is hard to turn down an offer from a brand when you are new to blogging. Getting an email offering to pay you $300 for a sponsored post sounds like the greatest thing ever! Pump your brakes, blogging is a long-term game. It’s not worth losing the trust you have built with your readers for a quick buck! Helping your readers should always be your #1 priority. 2. How do you land sponsored posts? This is a question we get all the time. After landing at least one sponsored post 8 of the last 9 months we have tactics that have worked very well for us. Luckily most of our sponsored posts have come from brands reaching out to us. When those do not seem to be coming in we take things into our own hands. 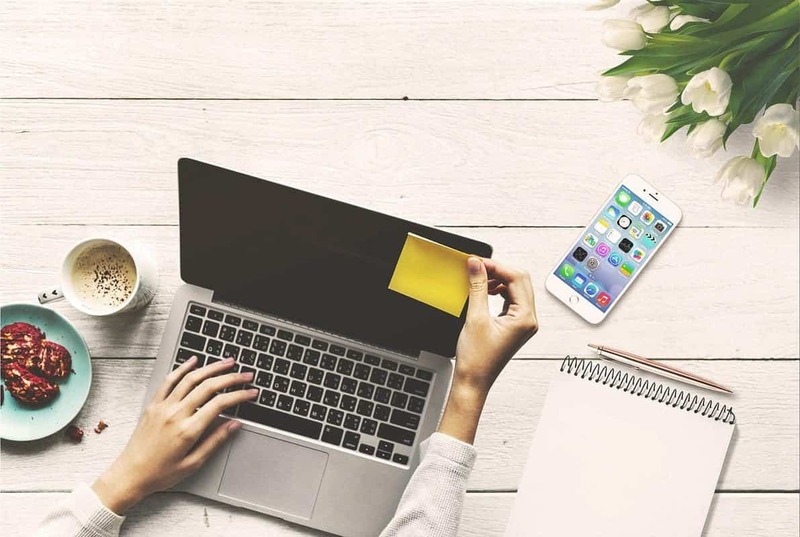 Keep an eye on others in your niche – If another blog in your niche is working with a company chances are they are looking for other influencers! Reach out to the brand personally and see if they are willing to work with you. 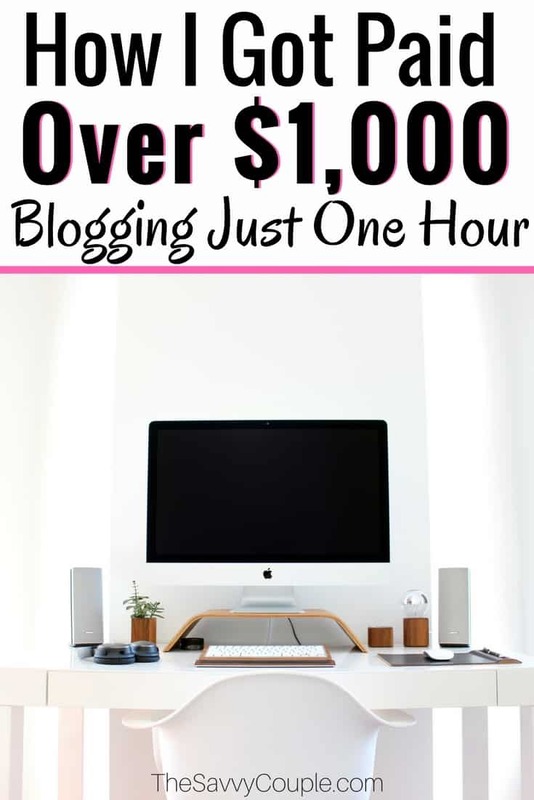 We have had this work for us twice now and it has netted us well over $2,000 blogging income. Ask around – Simply start asking around to other bloggers who they have worked with recently. A great place to do this is in Facebook Groups. If you are not part of our group yet, join now! Reach out yourself via email – Start sending out cold emails to brands that you love and use regularly. Always write it in a way that you are helping them out not the other way around. Provide value! Contract brands you have worked with in the past – Always, always, always save the emails from previous brands you have worked with. Some brands do promotions every few months or once a year. Why not create a long-lasting relationship you can make money from often? Sign up for websites that offer sponsored posts – This tip is too easy to not try. There are websites specifically designed to link bloggers/influencers with brands. When creating a profile on these sites make sure you fill out as much information as possible. The more value you can add to brands the more opportunities and higher paying sponsored posts you will land. 3. How do you know how much to charge? One of the toughest obstacles to overcome as a blogger. How on earth do I know what to charge a brand that wants me to sponsor a post? The simple answer is to use Social Bluebook. Unfortunately, it’s not that simple. Social Bluebook is a GREAT place to start, but we have found they vastly undervalue your “suggested pricing”. Never charge under $250 no matter how “new” or “small” your blog is. We have been able to charge 2X, 3X, even 5X what Social Bluebook suggested. The best piece of advice I can give you about sponsored posts is treating it like a negotiation, never say the first number! Always start by asking them what their budget is before throwing our any numbers. Like any negotiation, you never want to show your cards first. For a real-life example, I will share our story on how we made an additional $750 with an email that took 3 minutes to send. We were approached by a brand wanting to work with us and they asked the question “how much do you charge for a sponsored post”? I quickly responded explaining the marketing services we provide (sponsored posts, social media blasts, email marketing, etc.) with our media kit attached. I made sure to not include our pricing, but instead asked them what type of budget they had for the campaign. A few minutes later they responded saying they had $750 for a sponsored post. I was ecstatic as $750 sounded awesome at the time. But for some reason, I knew they low balled us. I knew our blog could provide more value to their brand. Within 3 minutes I put together another email explaining how much I loved their company and that we were very excited about the possibility of working together. I also included that “we normally charge upwards of $1,500 for a sponsored post on our site”. I was nervous sending the email as I did not want to lose the sponsored post altogether. Like most things in life I just went for it. Within an hour I got a response saying the $1,500 price would work and a contract to sign to get working on the sponsored post! My 3-minute email made us an additional $750. Lesson learned: You are worth value to brands, charge for it! This is VERY important! We did not land our first sponsored post until we made our media kit. You need to look professional from the start. Brands want to work with blogs/influencers that have their $hit together. Remember brands are paying you to promote and marketing their products and services. They want to make sure they will receive good ROI (return on investment) when they paying for these promotions. There are a few options for creating a killer media kit. When we first started we used a free template from Beautiful Dawn Designs. Another great option is creating your own with software like Canva, Pic Monkey or Powerpoint. With a little effort, you can make your blog look incredibly professional with a good-looking media kit. We also updated our Advertise Page on our site. We used the page builder Elementor to create it. You can learn more about using Elementor by reading through this incredible Elementor tutorial here. This is just another way to share your value with potential brands that want to work with you. Always make sure you keep your website/social media stats up-to-date. Another good idea to make your media kit stand out is adding your social media reach and not just your follower count. Putting a number that is in the millions gets brands attention! Now for the good stuff. The best part of sponsored posts is they are normally fairly quick and easy to put together. If you have been blogging for some time writing becomes easier and easier. Last month I was able to complete an entire sponsored post in 1 hours time. Talk about great ROI! It’s the best win-win around. You get paid for writing about a brand you love and use yourself. The brand gets new customers, conversions, and brand awareness. And your readers get introduced to a product or service that will benefit them in their own lives. Always remember to put your best foot forward when working with brands, you never know if they will want to work with you again in the future. Making Sense of Cents – Still our favorite blogging course we have ever taken. It took our blog from getting a couple hundred page views a month to averaging around 100k. Our income always went from a couple hundred to a few thousand. The Perfect Pin – Struggling to gain traction on Pinterest? This course is so affordable it paid for itself within a few days of taking it. Learn how to make beautiful looking pins and utilize group boards to drive waves of traffic to your blog. Tailwind – Our favorite Pinterest scheduling tool we use. Joining tribes in your niche can help you reach hundreds of thousands of new readers each month. The analytics this tool provides is worth the cost alone. Try it FREE for 1 month now. KWFinder – Without a doubt the best value SEO tool on the market! Helps us rank on Googles 1st page and drive thousands of page views each and every month. Have you done sponsored posts on your blog? Make sure to join our Blogging Facebook Group! Great posts, and the list is so helpful! Thanks for putting it together, I saved it for future use! Great article, thanks for the suggestions. I’m just starting to get into sponsored posts (I’ve had one) and hadn’t hear of TapInfluence. I signed up and we’ll see how it goes! Good luck they have been great for us! Thanks Nina glad you enjoyed it! Thanks for posting this! I definitely just went and signed up for Social Bluebook and TapInfluence. I’m amazed at the number it’s suggesting for us right now. Thanks! That’s awesome guys! Whatever Social Bluebook states you can charge more, promise. I think your highly engaged Instagram account could bring in some great revenue for you guys if you choose to start doing sponsorships on that platform. I’m glad to have found your blog here. Sponsored posts is one of the ways I monetize my blog. While this is a massive income source, I’m weary about the products I accept and of course, the dofollow/nofollow tag required by some advertisers. BTW how do you handle that aspect? You hit the nail on the head. You should always make sure the companies you are working with are legitimate companies that your readers will benefit from you partnering with. Love this! Tons of great information! Thank you for sharing! My pleasure glad it helped! Awesome Christain! Let us know if we can help you out on our blogging journey. Congrats on your success! This is very inspirorjng to read as a newer blogger. Thank you for the great tips! Thank you Erin! So glad we were able to share some insight and help motivate you =). OOOK guys you have me curious. Lol. Love the idea of sponsorships. Also…boy have you guys grown, mad props. Thanks Todd! Sponsorships are BOMB when you can match up with a company you truly believe in.